Home / Technology / How Useful Is CDN Server Hosting? How Useful Is CDN Server Hosting? CDN or Content Delivery Network is responsible for faster delivery of content to end-users all across the world. Content on websites can be of different types, such as text, images, media files, documents, live streaming media etc. To be able to offer such diverse site content to all users across the world, the CDN becomes necessary. 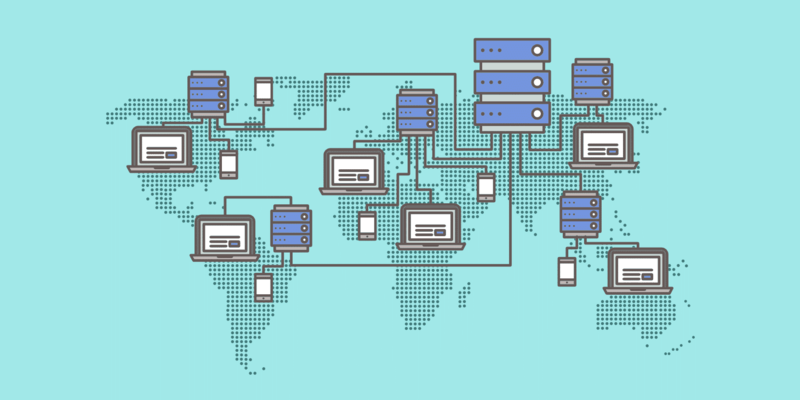 When you sign up for CDN server hosting services, you can get data centers deployed in various locations across the globe, each of these edge servers will store cached content. This enables these edge servers to offer content faster to the users which are closest to them. So, a CDN will accelerate site performance and page loading speed. Today, users are accessing the web through different types of devices apart from regular computers. There are web servers deployed on the Internet in networks which are responsible for offering content to their end-users. However, when there are too many servers in a single location, it is hard to tackle multiple workloads. As a result, the site efficiency suffers. Besides, end-users access different kinds of apps, like interactive apps, streaming videos and audios and both dynamic and static pages which need robust and efficient networking systems. To balance these loads on the infrastructure and to offer content faster to the audience, cloud CDN server hosting services have become important. What Is The Difference Between CDN Server Hosting And Traditional Web Hosting? The main idea behind signing up for CDN hosting services is to have multiple servers installed in various geographical locations. This will allow you to handle the traffic loads successfully and lessen time for content delivery. These CDN server hosting services will establish very powerful edge servers in different areas for catering to large businesses. In web hosting, you sign up with a web host which will host your site on its server. Users can access the site through the Internet. CDN server hosting is primarily about accelerating this access of site assets for the end-users. Traditional hosting will also deliver 100% content to end-users; but, when this content is stored across the world, as users, you must wait for data to be restored from the web server where it is kept. The CDN will take your dynamic and static content and store it in many servers all across the globe. There will be copies of the data in edge servers which helps to cut down on downloading times. The closer an edge server is to an end-user, the faster he can access the data. Unlike traditional web hosting which typically involves only a single server, CDN server hosting will involve many servers. When you have decided to sign up for CDN server hosting you must take into account some key factors. You should look out for a robust analytics platform which can give you reports on the complete bandwidth, total requests quantity, complete delivery by data centers, completion fraction, cache hits, rate of hits, leading hosts, origin transmission etc. When you want an efficient CDN, you have to consider the response times and throughput. The first refers to the time a server takes for answering to a browser request. When response time is slow, it means pages will get loaded slowly. This means dissatisfied clients regardless of how optimized your web pages may be. Throughput refers to rate of effective delivery of messages across a contact channel. You need to test a CDN for these factors and then select one which can successfully pass these and more tests. While both cloud hosting services and CDN hosting services try to deliver content, CDN hosting is preferred where page loading speed is less and this leads to customer dissatisfaction. CDNs can resolve this issue by ensuring faster content delivery to end-users through edge servers. Cloud hosting is more of a next-generation solution which can cater to all needs of any organization. It does not only focus on faster delivery of content; rather, it is more of a scalable platform which can offer users a wide variety of resources that may be obtained on demand.